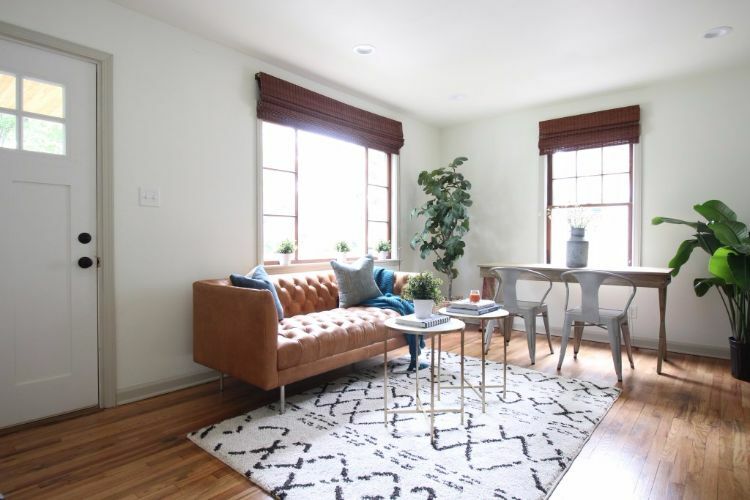 Bryan and Catherine are a husband and wife home renovation team located in Columbus, OH. 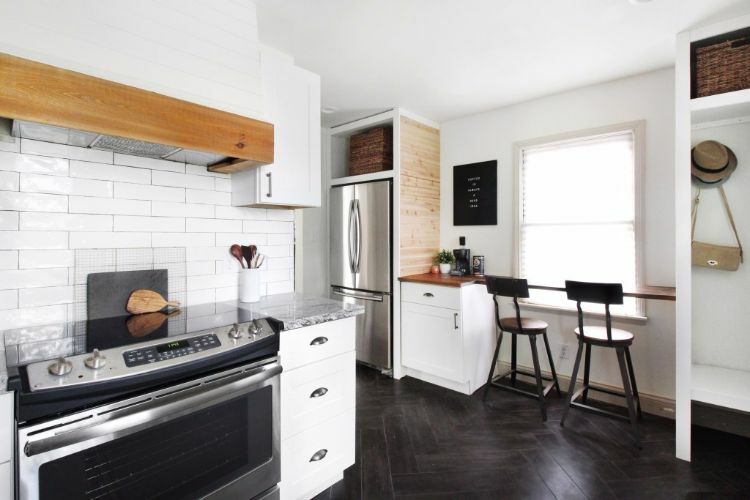 They're the creators of Beginning in the Middle, a blog dedicated to sharing their remodeling adventures and DIY projects. 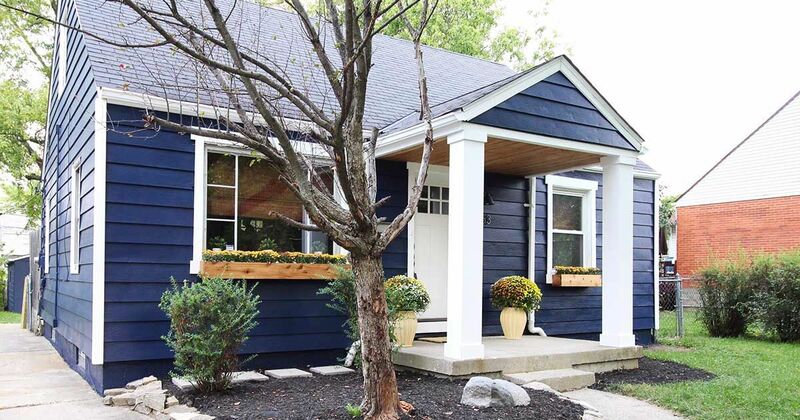 The couple's latest project, The Chesterfield Cottage, is a navy blue charmer built in the 1950s. 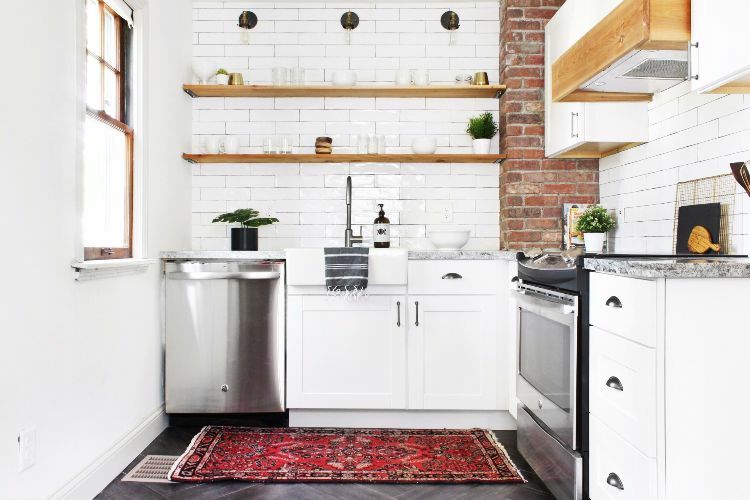 The home went through an extensive renovation process, and the results are nothing short of stunning. 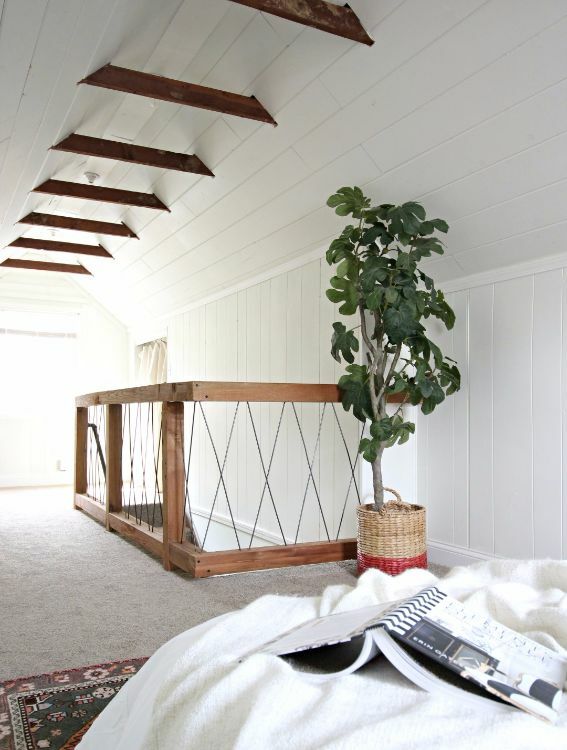 Every detail is perfection from the herringbone floors in the kitchen to the exposed beams in the attic bedroom. The house is about 1,000 square feet but feels much bigger thanks to thoughtful design choices. Take a look around in the full tour below! The living room is open and airy thanks to bright windows and crisp white walls. 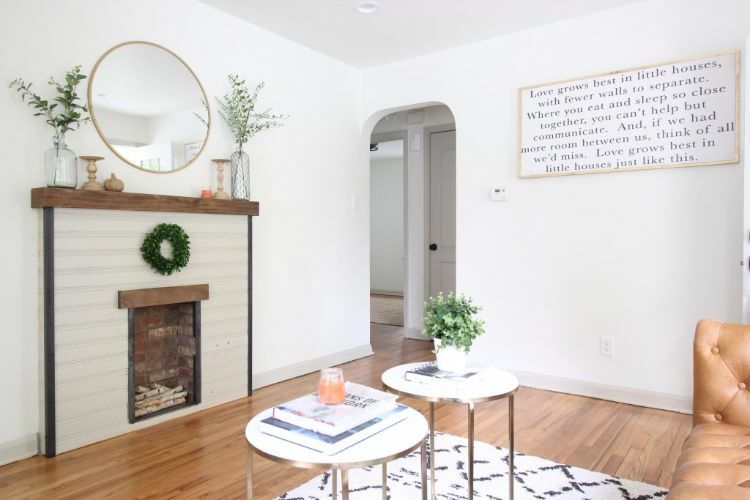 According to their blog, Bryan and Catherine chose to paint the whole house white to disguise the imperfect wall and ceiling lines that are common in older homes. This decorative fireplace was added to the room during the remodel process to create an interesting focal point. The kitchen has chic Farmhouse style with white shaker cabinets, pewter hardware, open shelving, and an apron sink. The exposed brick is actually brick veneer adhered to the existing cinder block chimney. This room is proof that a small bathroom does not have to be boring. 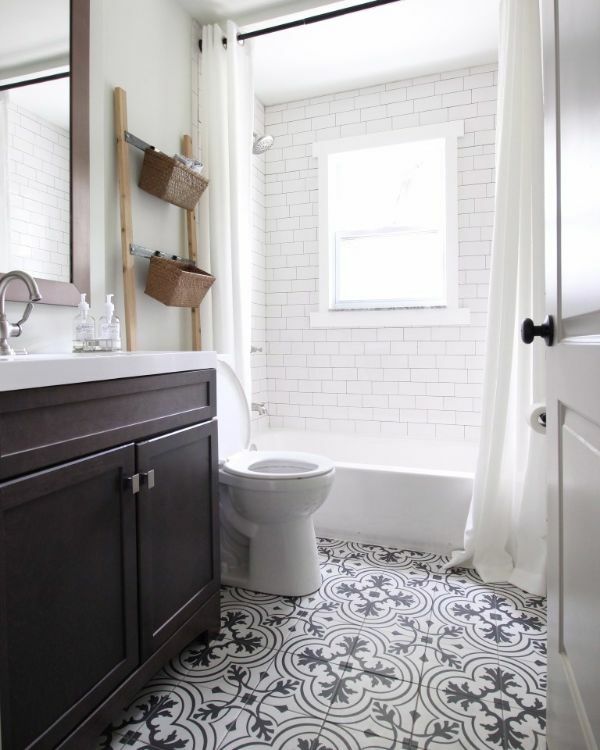 The black and white patterned floor tile steals the show. The ladder above the toilet is actually a DIY project and provides additional storage. 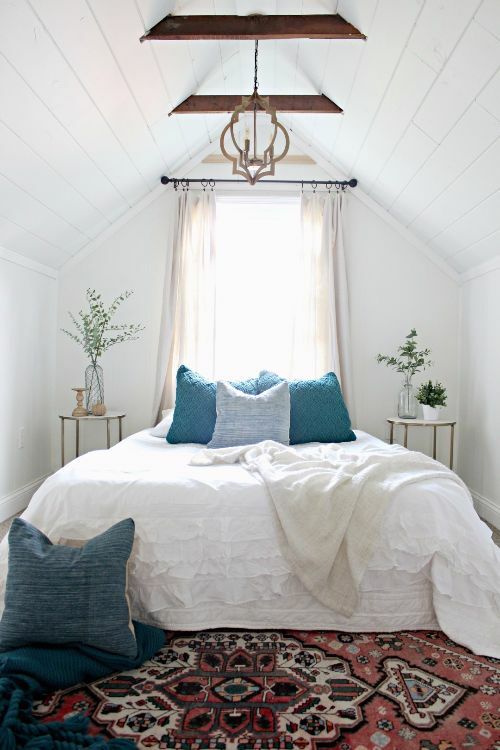 Isn't this remodeled cottage incredible? Make sure to check out Beginning in the Middle on Instagram and Facebook – and share this house with your friends!